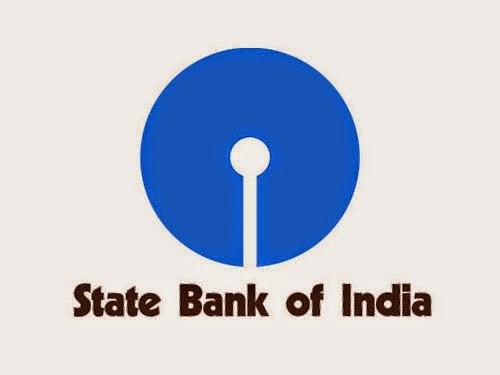 State Bank of India, SBI has recently issued notification for the recruitment of 5092 numbers of Assistants in clerical cadre in State Bank of India as per ADVERTISEMENT NO. CRPD/CR/2014-15/02. Recruitment Examination will be conducted online tentatively in July/August 2014 on various dates. The selection procedure will be conducted on two phases: Written test and Interview. Final selection will be made on the basis of performance in the online test and interview taken together. The questions in objective tests, except for the test of General English, will be bilingual i.e., English & Hindi. Each test will be of 40 marks.For these objective type tests of total 200 marks candidates will be given a composite time of 2 Hours 15 minutes There will be negative marks for wrong answers in the Objective tests. 1/4th mark will be deducted for each wrong answer. Candidates will have to pass in each of the objective tests. The passing marks in each of the tests will be decided by the Bank on the basis of the performance of all the competing candidates taken together in each test to a minimum required level. Candidates are also required to score a minimum percentage marks on aggregate (For SC/ST/OBC/PWD/XS candidates, 5% relaxation available thereon) for being considered for interview. Minimum percentage marks on aggregate will be decided by the bank. Candidates qualified in the test will be placed according to their marks in descending order in respective categories. Depending upon the number of vacancies only certain number of candidates from amongst those who qualify by ranking high enough in the merit will be called for interview in the ratio of maximum 3 candidates for each vacancy. Candidates are required to score a minimum percentage marks (to be decided by the bank) in interview to be considered for final selection. 5% relaxation for SC/ST/ OBC/PWD/XS category will be available thereon. Weightage for knowledge of local language will be given in accordance with the Govt. guidelines. Final selection will be made on the basis of candidate’s performance in the test and interview taken together. 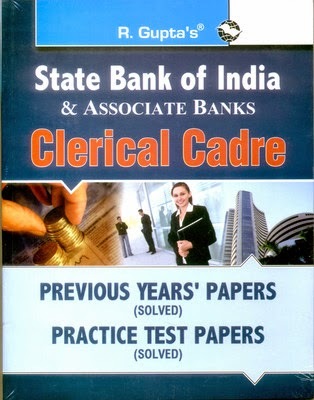 We enlist a list of books for the preparation of SBI Clerical Examination 2014 subject wise. Although you can go for a cheap guide book found in the market, but this will never help you in clearing your concepts to crack future examinations. So, it is advisable to buy these texts, carefully understand the concepts, then solve question papers from previous years. One can buy these texts online from Flipkart.com .All you need an ATM card or Internet Banking facility, you will get up to maximum 55% discount. The books will be delivered by maximum 3 to 5 days. 6. A Modern Approach To Logical Reasoning by Aggarwal R. S.
Hope these books will help you to crack State Bank of India Clerical Examination 2014. Best Wishes !